Wellington, Dec 16 NZPA - The Government favours a three-notice procedure to deal with illegal copying of material over computer networks which includes termination of internet access as a punishment, Commerce Minister Simon Power said today. The previous government's attempt to police copyright infringement was withdrawn after many internet user groups complained it was too draconian and would result in people being unfairly cut off by their internet service providers (ISPs). Mr Power today released a Cabinet Paper that outlines the basis of new legislation, which will be introduced to Parliament early next year. 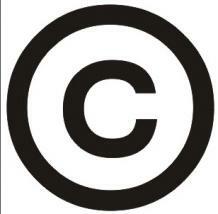 This follows a review of section 92A of the Copyright Act 1994. * Right holders will be able to request that ISPs give alleged infringers notice to stop infringing activity. * The first notice will inform the account holder that infringing has occurred and is illegal. Two further notices may be sent. * If infringing continues after three notices, the right holder may seek a penalty of up to $15,000 at the Copyright Tribunal. The amount will be based on the damage to the copyright owner. * Where serious and continued breaches occur, right holders will be able to go to court to seek a range of remedies, including the suspension of accounts for up to six months. * Account holders will be able to issue counter notices, and can request a hearing if they feel they should not be penalised. Mr Power said the three-notice procedure was the key to the process. "The procedure will both educate and warn file-sharers that unauthorised sharing of copyright works is illegal, and in turn stop a large proportion of illegal file sharing," Mr Power said. Mr Power said though right holders would be able to seek suspension of accounts through the courts, he expected that would happen only in cases of serious offending. "I want to stress that account holders will have the opportunity during each of these processes to defend claims by right holders." Many internet users are opposed to any punishment that includes termination of internet accounts and are likely to be vocal as the legislation passes through Parliament.